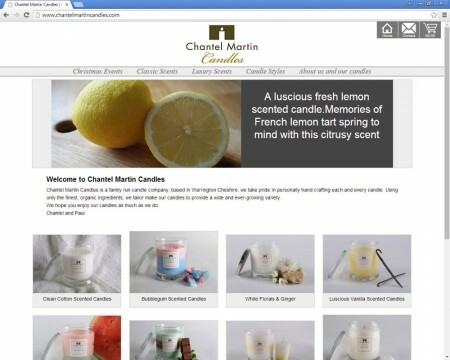 Chantel Martin Candles is a family run candle company, based in Warrington Cheshire, taking pride in personally hand crafting each and every candle. Chantel Martin Candles was born out of the desire of an existing client wanting to expand, diversify and try something new. Here at PG54, we are quite flexible and, if time allows and we think it stands a chance of being a success, then we are quite prepared to take a bit of a punt on a new project and built something extra for a client. This may just be the nudge that a new venture needs to get it off the ground without killing it off with the need for large initial capital expenditure. Chantel Martin Candles is still young and fighting to build a market but Christmas is coming... watch this space.